These indoor tufted chair pads are inspired by "mid-century modernism." Tones of navy blue, yellow, turquoise, gray and off white make this lumbar pillow three-dimensional, instantly becoming the focal point of any room! Combine these indoor tufted chair pads with assorted sizes of Auretta Persimmon and Check Please Lakeland for a fabulous curated look! 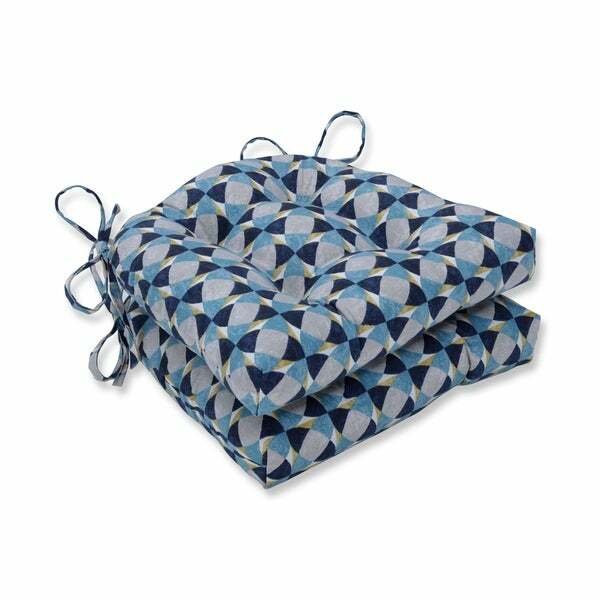 Additional features include 14" chair pad ties and recycled polyester fiber-fill with a sewn seam closure.